We all understand that our chosen shape of the house building also varies in the size of location that we have chosen. For the chosen location that we have we also consider privacy and comfort. Today we will be sharing to you a residential house for four-person families. This house extremely considers comfort and privacy. 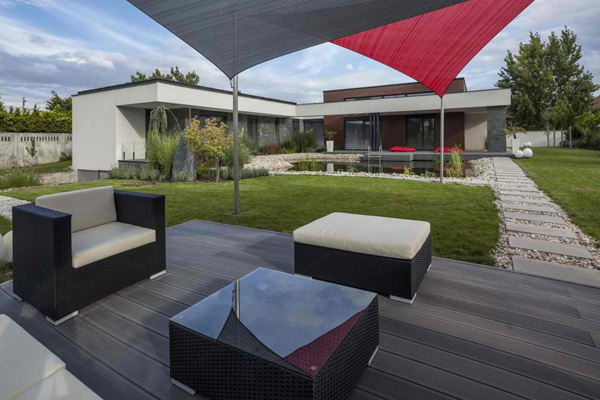 You can also see how the designer maximized the space from the interior to the exterior. This house is named as the Home in Mosonmagyaro´va´r which is derived from its location in Mosonmagyaro´va´r, a town in Mosonmagyaro´va´. This is a quiet, suburban residential park in this place. 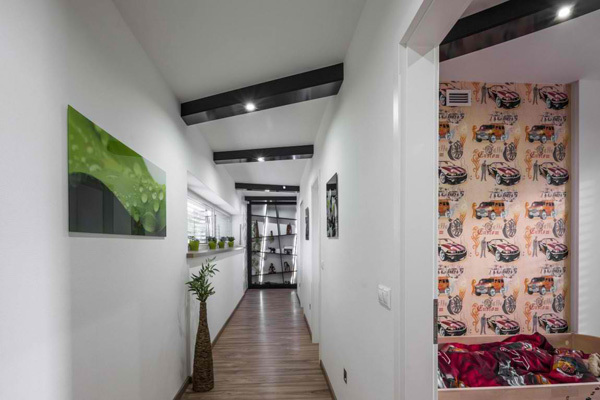 The designer said that the compilation of the house planning program was the result of a keen collaboration and ideal selection of the client and the designer as well. 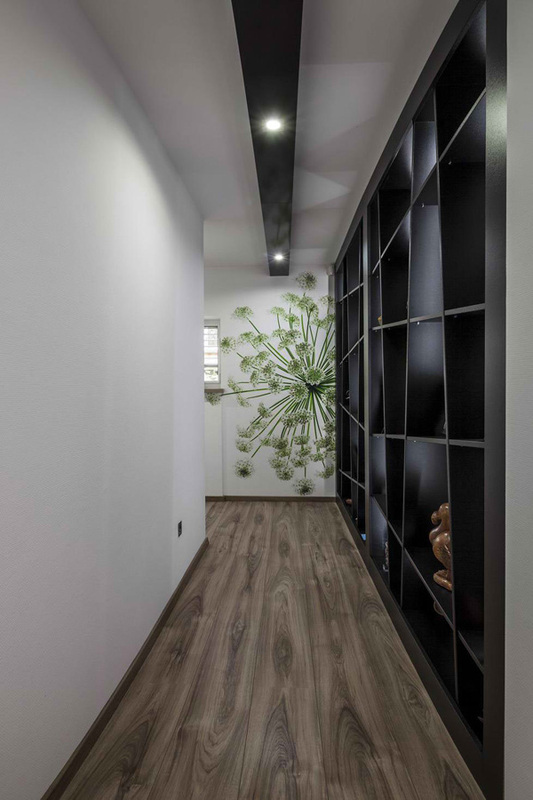 Let us see how the designer effectively exposed the privacy and comfort in this Home in Mosonmagyaro´va´r through the images below. 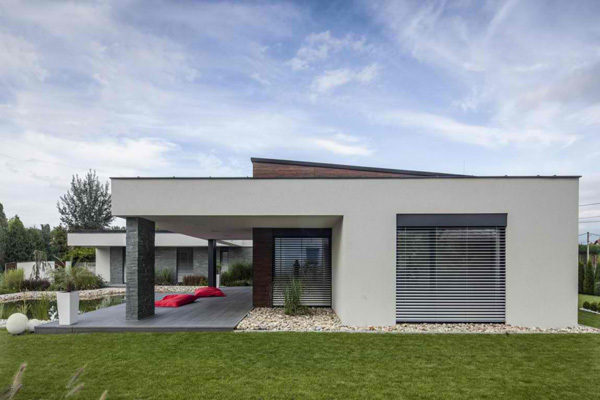 See how the T-shape ground plan of the house that underlines its unique shape and volume. 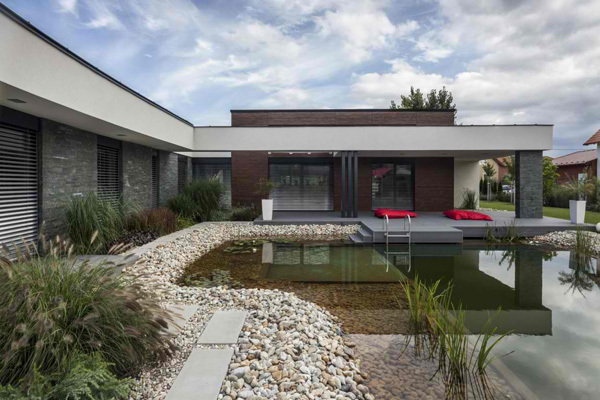 Take a look at this exceptional swimming pool that associate the beauty of nature. The wall art adds attraction in this simple living space design for its white soft sofa. 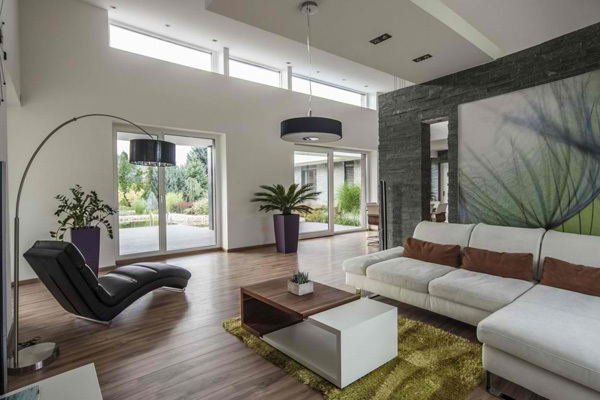 From the interior, the homeowner can enjoy the sight of the garden that enhances the concept of comfort and elegance. 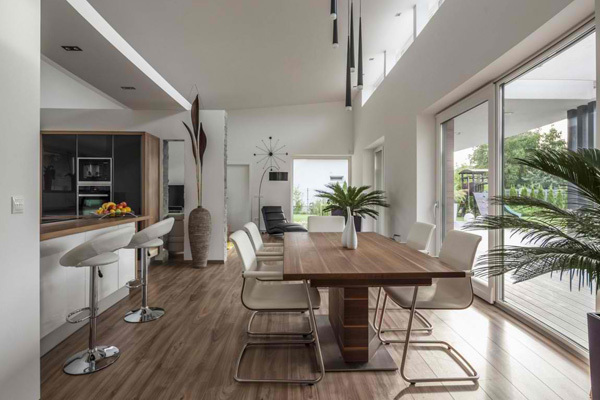 Living space may be small but the designer successfully accommodates the kitchen, dining and living area here. 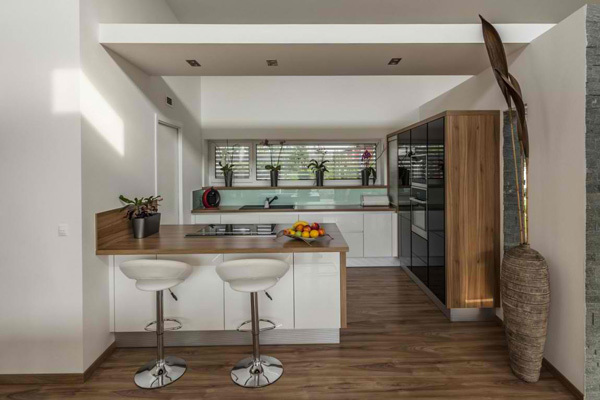 Simple shade of white and wooden pattern in the floor and the cabinets are highlighted in this neat kitchen. 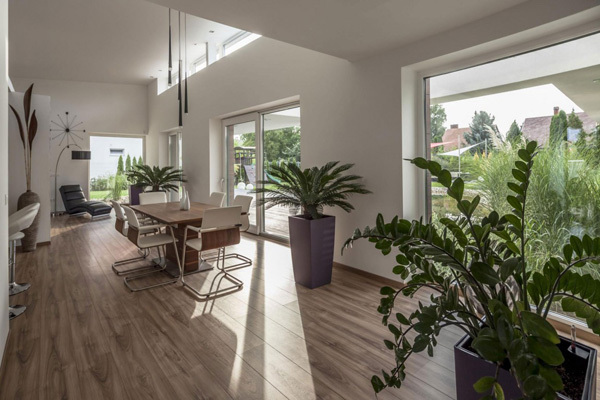 The plants arranged in the corners of the dining space is enough to speak of its connection to the nature. Table for five is set near the sliding glass door to allow the client witness the beauty of the exterior while enjoying their meal. Paintings that show the homeowner’s love of nature created a charming space in the indoor. Built in bookshelves are seen in the interior to creatively arrange their things and figurines that also improve the indoor. 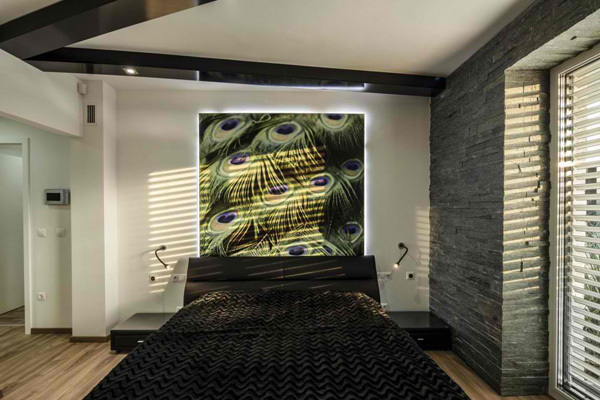 Black bed sheets complements with the wall art highlighted with the LED lights at the back part of the painting. Comfortable seats are arranged well in the patio to make this area comfortable to stay in during morning. Here is the main entrance which is located in the focus area of the building where you can see the garden, too. 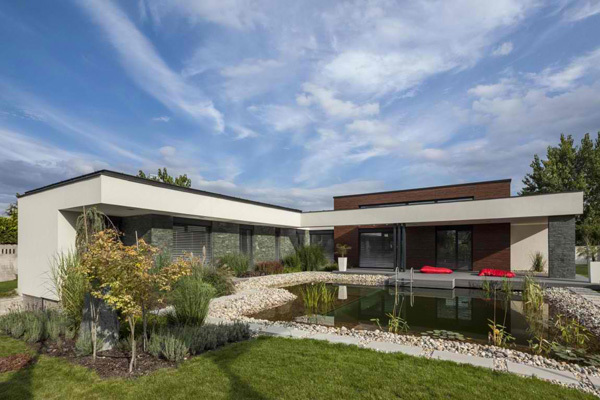 Great landscape and geometrical volume of the edifice underscore in the exterior that shows its classiness. 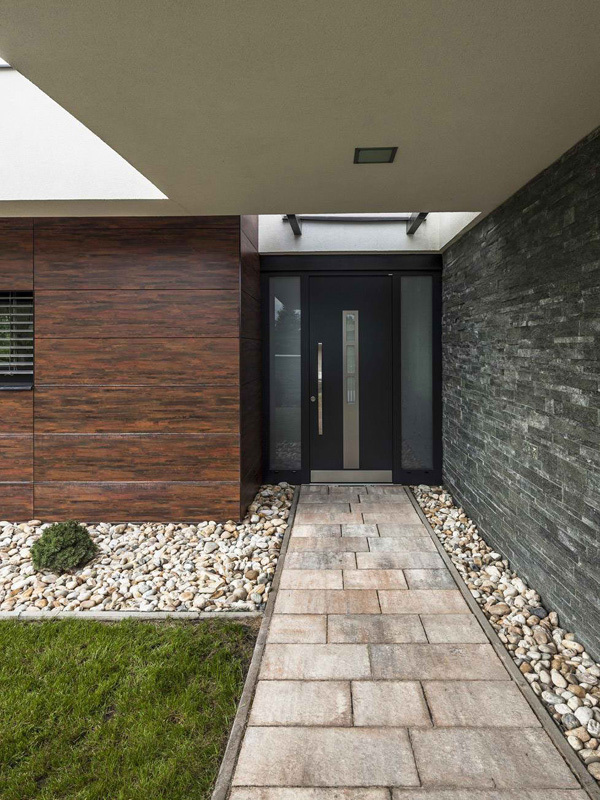 The appearance of the exterior explains the three materials such as the dark rusty façade composed of concrete, cement and rocks. As we have seen from the images above, we definitely define the real essence of privacy, charm and comfort. We can say that the Toth Project as well as the client primarily sees the importance of functionality and comfort in the different spaces in the house. I like the way the designers keep the privacy and the classiness of every detail expressed in the house. 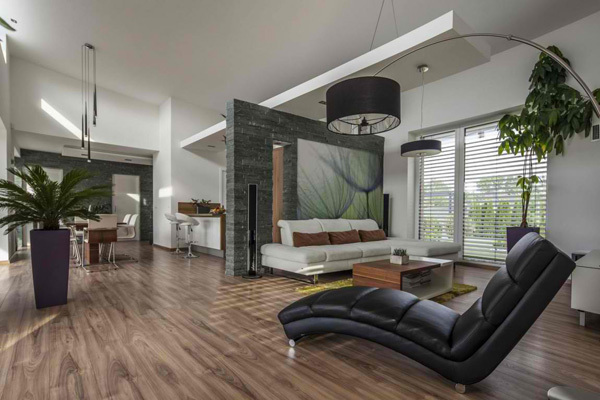 We hope that you find this house design helpful in conceptualizing your house in the future.